When it comes to buying a car, it is better to be safe than sorry! 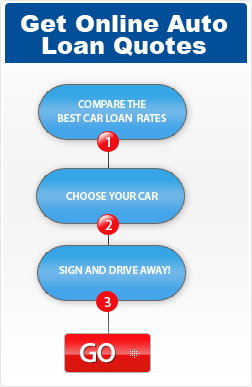 Plan the car buying process and apply for an auto loan with Fast Auto Loan Approval. Enjoy a swift car purchase with bad credit auto loans. Apply now and get lower interest rates. You have one life, play it safe and you won’t regret! Many people think that their good credit score will get them approval on the auto loan. But, while a person’s credit score is important, the lender also considers the debt-to-income ratio. If you don’t like playing it safe which means your monthly expenses or debt obligations exceed the amount you earn, the lender may not approve your auto loan application. The debt-to-income ratio, also known as DTI, refers to how much debt you have in comparison to your income. It is an important number for lenders because it helps them to determine your ability to pay back debts. The simple fact is that a good DTI also has a huge impact on getting you qualified for the auto loan. The DTI ratio is a percentage and it is comprised of the total minimum monthly debt divided by the gross monthly income. The total minimum monthly debt is made up of minimum monthly payments for auto loans, student loans, credit card debt, mortgages, and any other recurring debt that you might have. For example, if you pay $1,500 a month for your mortgage, $100 every month for an auto loan and $400 per month for the rest of your debts, you pay a total of $2,000 per month toward debts. If your gross monthly income is $6,000, then the DTI ratio is 33%. The lower the DTI, the better it is for you. The higher the DTI, the more likely you are to struggle to make your monthly auto loan payments. You’ll want to lower the DTI ratio not only to qualify for the auto loan, but also to ensure that you’re able to make the monthly payments tension-free. What if the DTI isn’t to your liking? You’ve got two options, both of which are easier said than done. Your first option is to increase your income so you have more money to work with. Your second option is to reduce your debts to enable your existing income to go further. For the second option, focus on paying off your current debt and avoid taking on additional debts. Front-End DTI Ratio, which shows how much of your income goes toward expenses. Back-End DTI Ratio, which shows how much of your income goes toward expenses as well as your monthly debt obligations. So, which one matters the most? Ideally, both the DTI ratios should be as low as possible. A lower DTI will complement your credit score and allow you to get a lower interest rate on the auto loan. Consider the fact: Lenders don’t know you. They can’t determine whether you will be able to repay the auto loan amount in future. Instead, they look at the DTI and know about your ability to make monthly auto loan payments. So, play it safe and avoid messing up your DTI. Copyright © 2017 Fast Auto Loan Approval - Newark, NJ 07104. All Rights Reserved.